is an instructor in the environmental programme of the Harvard Extension School, and an author, consultant and public speaker who focuses on risk perception, communication and management. His latest book is How Risky Is it, Really? Why Our Fears Don't Always Match the Facts (2010). He lives near Boston, Massachusetts. The fear of ionising (nuclear) radiation is deeply ingrained in the public psyche. For reasons partly historical and partly psychological, we simply assume that any exposure to ionising radiation is dangerous. The dose doesn’t matter. The nature of the radioactive material doesn’t matter. The route of exposure – dermal, inhalation, ingestion – doesn’t matter. Radiation = Danger = Fear. Period. The truth, however, is that the health risk posed by ionising radiation is nowhere near as great as commonly assumed. Instead, our excessive fear of radiation – our radiophobia – does more harm to public health than ionising radiation itself. And we know all this from some of the most frightening events in modern world history: the atomic bombings of Japan, and the nuclear accidents at Chernobyl and Fukushima. While thousands of the hibakusha received extremely high doses, many were exposed to moderate or lower doses, though still far higher than those received by victims of the Chernobyl or Fukushima nuclear accidents. At these moderate or lower doses, the LSS found that ionising radiation does not raise rates of any disease associated with radiation above normal rates in unexposed populations. In other words, we can’t be sure that these lower doses cause any harm at all, but if they do, they don’t cause much. And regardless of dose, the LSS has found no evidence that nuclear radiation causes multi-generational genetic damage. None has been detected in the children of the hibakusha. Both nuclear accidents have demonstrated that fear of radiation causes more harm to health than radiation itself. 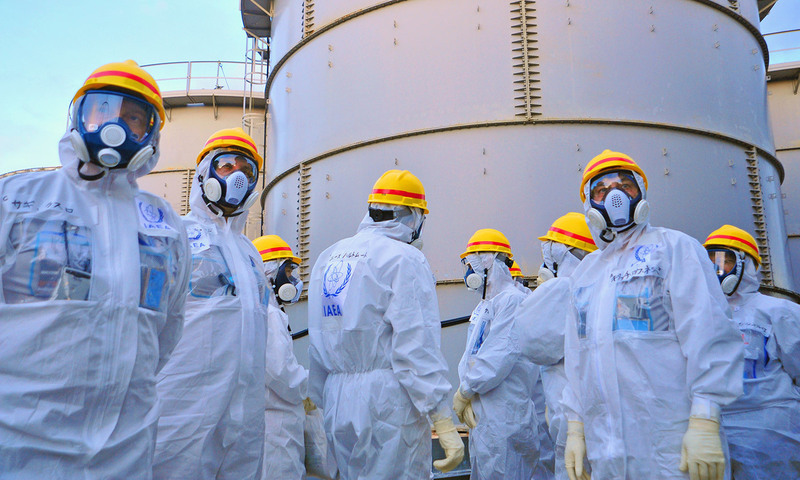 Worried about radiation, but ignoring (or perhaps just unaware of) what the LSS has learned, 154,000 people in the area around the Fukushima Daiichi nuclear plants were hastily evacuated. The Japan Times reported that the evacuation was so rushed that it killed 1,656 people, 90 per cent of whom were 65 or older. The earthquake and tsunami killed only 1,607 in that area. The World Health Organization found that the Fukushima evacuation increased mortality among elderly people who were put in temporary housing. The dislocated population, with families and social connections torn apart and living in unfamiliar places and temporary housing, suffered more obesity, heart disease, diabetes, alcoholism, depression, anxiety, and post-traumatic stress disorder, compared with the general population of Japan. Hyperactivity and other problems have risen among children, as has obesity among kids in the Fukushima prefecture, since they aren’t allowed to exercise outdoors. The natural environment around the Chernobyl and Fukushima Daiichi accidents adds evidence that ionising radiation is less biologically harmful than commonly believed. With people gone, those ecosystems are thriving compared with how things were before the accidents. Radiation ecologists (a field of study that blossomed in the wake of Chernobyl) report that radiation had practically no impact on the flora and fauna at all. The risk from radiophobia goes far beyond the impacts in the immediate area around nuclear accidents. Despite the fact that radiation released from Fukushima produced no increase in radiation-associated diseases, fear of radiation led Japan and Germany to close their nuclear power plants. In both nations, the use of natural gas and coal increased, raising levels of particulate pollution and greenhouse gas emissions. Neither country will meet its 2020 greenhouse gas emissions-reduction targets. Across Europe, fear of radiation has led Germany, France, Spain, Italy, Austria, Sweden and Switzerland to adopt policies that subsidise solar, wind and hydropower over nuclear as a means of reducing greenhouse gas emissions, despite the fact that most energy and climate-change experts say that intermittent renewable energy sources are insufficient to solve the problem. In the United States, 29 state governments subsidise wind and solar power, but only three offer incentives for nuclear, which produces far more clean power, far more reliably. Fear of radiation has deep roots. It goes back to the use of atomic weapons, and our Cold War worry that they might be used again. Modern environmentalism was founded on fear of radioactive fallout from atmospheric testing of such weapons. A whole generation was raised on movies and literature and other art depicting nuclear radiation as the ultimate bogeyman of modern technology. Psychologically, research has found that we worry excessively about risks that we can’t detect with our own senses, risks associated with catastrophic harm or cancer, risks that are human-made rather than natural, and risks that evoke fearful memories, such as those evoked by the very mention of Chernobyl or Three Mile Island. Our fear of radiation is deep, but we should really be afraid of fear instead.